We live in a somewhat charmless 1950s-1960s neighbourhood, but we have a decent-sized garden and are close to some beautiful countryside. That garden contains, among other things, two old apple trees. A neighbour who’s lived here since the estate was built says much of it was an orchard beforehand. So those veteran apple trees, gnarled and neglected, deserve some respect as survivors. One way we in southern Britain, particularly the southwest and southeast of England, traditionally paid our respects to our apple trees was by wassailing. To wassail is to salute, to wish good health, with the ail part of this Old English/Old Norse word equivalent to the modern English hale, as in “hale and hearty”, whole and in good health. The word also refers to a drink drunk when wassailing, from a wooden “wassail bowl”. I must admit I didn’t make the drink this time, as the recipes I found on this fascinating site are types of punch-like concoction involving mulled cider, mulled ale, mulled cider and ale mixed, mulled cider and ale and fortified wine mixed, all often also mixed with whipped egg and garnished with toast. For toasting your apple trees, your neighbours, your community, in the hope of winning over apple tree spirits and guaranteeing a good harvest – and plenty more cider the following year. As a teenager I drank far too much snakebite – half-half beer and cider – and it made me so sick it put me off alcohol for years. So although I love tradition, I’m wary of cider-ale combinations. Wassailing is traditionally carried out on Twelfth Night – that is, 5 January, the night before Epiphany. However, there’s also a tradition that favours Old Twelvey Night – the night of 17 January, the eve of the Epiphany according to the Julian calendar, which was replaced by the Gregorian calendar for most Westerners and Christians in 1582. This is – or was – favoured in the southwest of England, where Fran’s from, and my mother’s mother was from. The song is probably Victorian. Indeed, although these traditions may well be ancient, possibly with pre-Christian origins, as we so much British folk culture, the form we know today was likely largely shaped by the Victorians. While they tried to remember the song, I made an apple cake. 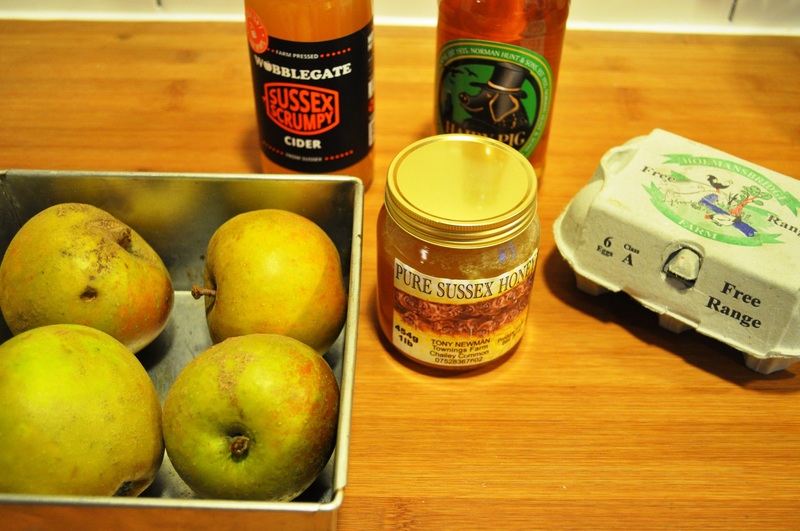 This recipe is from Sompting, a Sussex village about 16 miles (25km) away from where we live in Lewes. The original recipe makes for a fairly substantial foot-square cake, a little large for my family gathering. The woman who provided the recipe, one Marjorie Clarke said of the cake tin, “We use a special one with a hole in the base, so that the cake can be carried on the end of a spear in the procession.” That’s probably not the sort of cooking kit you have. I certainly don’t, and don’t really fancy drilling a hole in one of my tins. So I think a standard square, or similarly proportioned rectangular one should do. I reduced the quantities and tweaked it slightly. Then burned the top a bit in my new oven. 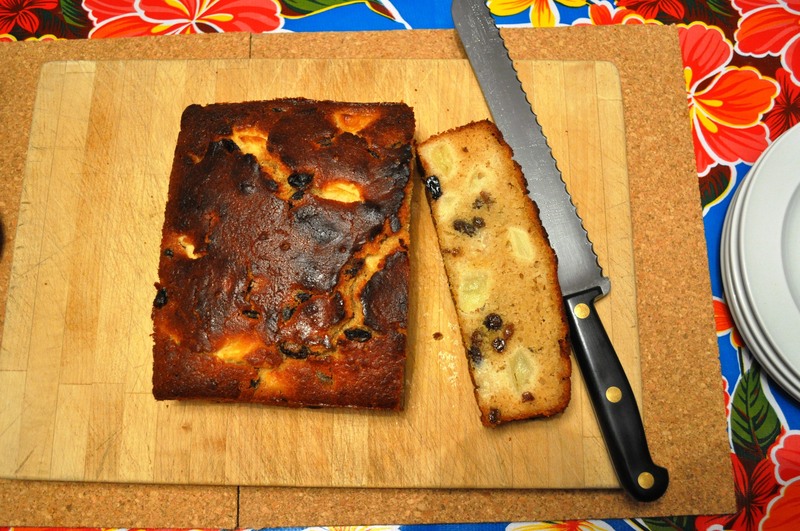 But no matter, that felt suitably rustic and the cake was lovely and moist, the raisins fattened with very natural Wobblegate Sussex Scrumpy I used. 1. Grease and line an 18cm square baking tin, or similar. 3. Put the raisins in a saucepan, cover with the cider, bring to the boil then remove from the heat. 4. 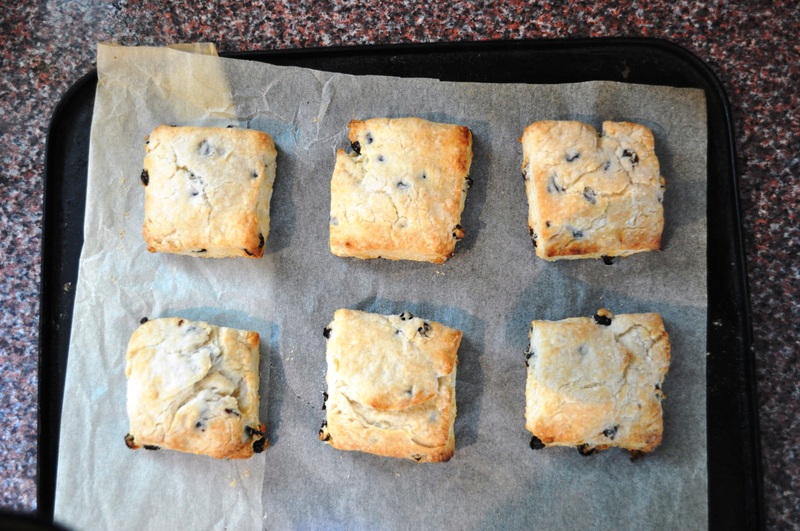 Add the apple pieces to the cider and raisins, and allow to cool while you continue. 5. Cream the butter and honey then gradually add the beaten egg. If it starts to curdle, add a little of the flour. 6. Sieve together the flour and baking powder. 7. Add half the flour to the batter, and combine. 8. Add half the cider mixture to the batter, and combine. 9. Add the other half of the flour and fold in. 10. 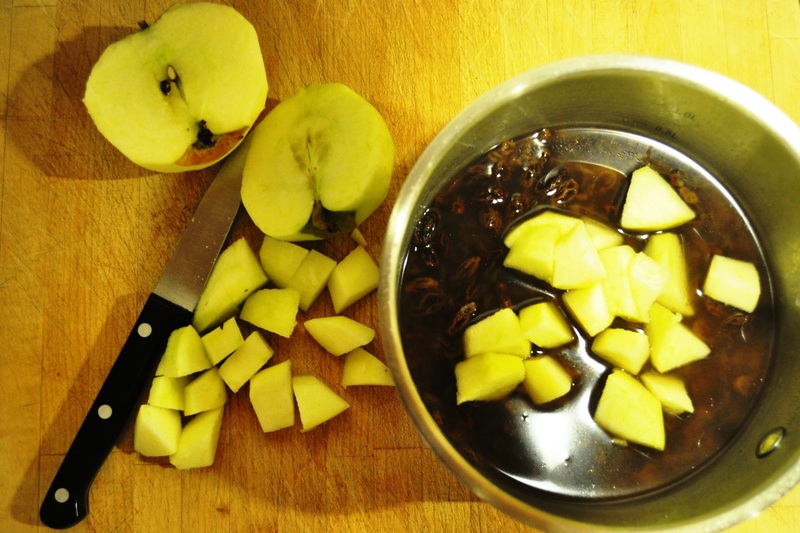 Add the rest of the cider mix and carefully combine, until the mixture is uniformly mixed, but not over-mixed. 11. Pour the mix into the tin. 12. Bake for about an hour, or until risen and firm. * Yes, I know I should have posted this on Saturday, but there’s always next year. Today, 16 June, is Sussex Day. It’s probably not a festival many people celebrate – especially as it was only invented in 2006. Though it is based on the saints day of St Richard, patron of Sussex, the land of the south Saxons. Richard de Wych was a 12th century bishop of Chichester, now the county town of West Sussex. I’m over here in Lewes, the county town of East Sussex. The historic county of Sussex, based on the ancient kingdom of the south Saxons, was divided into two modern, administrative counties in the 1860s. Chichester and Lewes are very different, notably because the former is a cathedral city of about 24,000 people, while Lewes only has about 14,000 people, and the only “cathedral” is Harveys brewery. 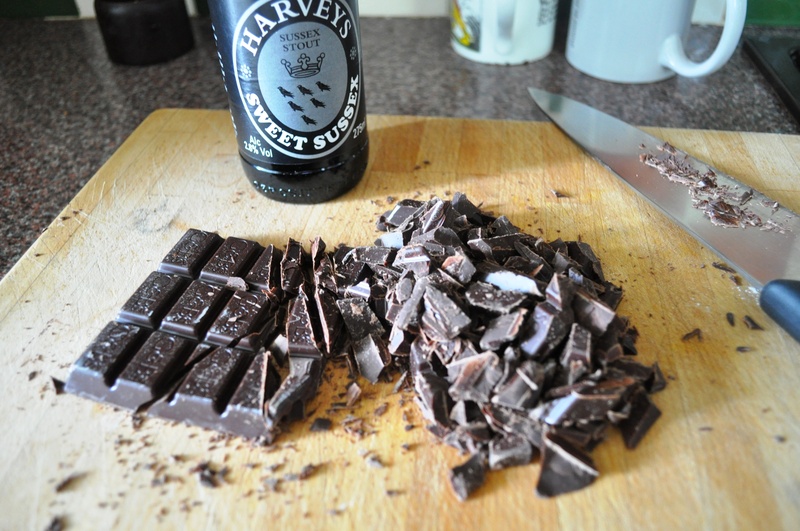 Later on today I plan to head down to Harveys and check out the new St Richard’s Ale, which they’re launching on Sussex Day, but in the meantime, here’s recipe made using another Harveys, county-themed ale: Sweet Sussex. Dark brown or black ales, porters were made with well roasted malts, which lent them a sweet, charcoally flavour. Eventually, the term “stout porter” shifted again, with stout becoming its own town for a rich, dark ale – though not necessarily a strong one. Indeed, today, the terms stout and porter are fairly interchangeable. Sussex Sweet may be called a stout, but it’s certainly not stout in the sense of strong. Indeed, it’s so weak, compared to those old historic stout porters which will have been 8% ABV or so, that it’s more defined by its sweetness. It’s almost like a kind of charcoal milkshake. And just the thought of thing that goes well with dark chocolate. I wanted to bake something chocolaty yesterday, but didn’t want something as rich as a full-on cake (like I made here with dark ale) or iced cupcakes, so I made some muffins instead. 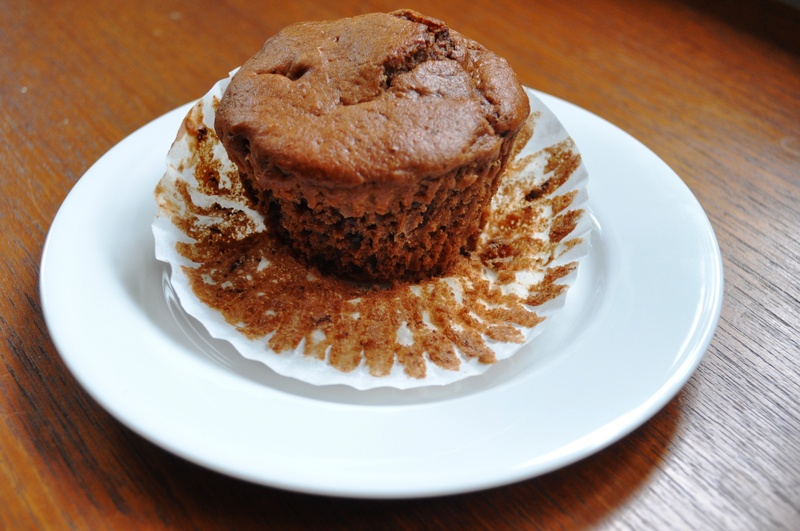 Like stout and porter, the terms muffin and cupcake have slightly blurred meanings, though broadly I’d say a muffin contained less sugar, less butter, and were broadly a tad healthier. 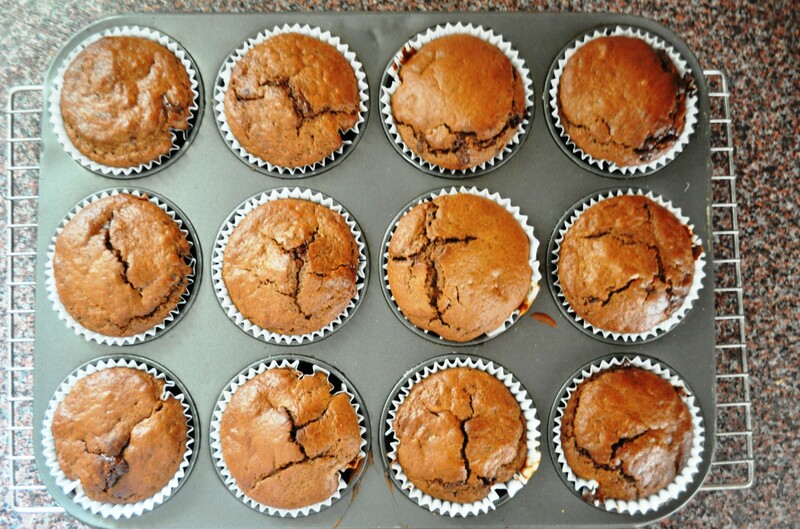 A lot of muffins, of course, contain bran, or fruit, or are even savoury. These ones are only vaguely sweet, and have a hint of that charcoally flavour from the beer. 2. Sieve the cocoa, flour and baking powder into a bowl. 3. Stir in the sugar and chocolate chips. 4. 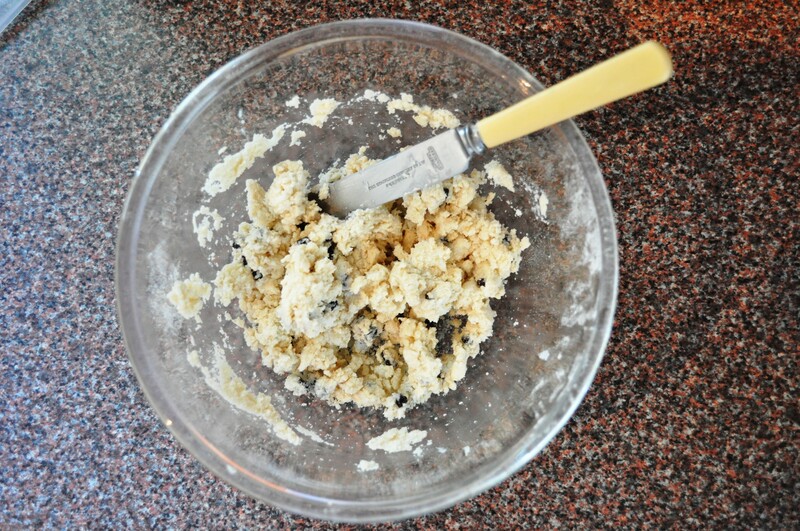 Add the eggs, vanilla and beer, or beer and milk mix, along with the melted butter, to the flour mix. 6. Fill about a dozen muffin cases and bake for about 25 minutes. 7. Cool and enjoy, with a cuppa or perhaps with a stout. Or porter. There’s only a little bit of cocoa in here, but I was also using a very light-coloured type of cocoa powder, hence the results aren’t very dark. This cocoa powder I’m using is actually the Raw Chocolate Company’s Raw (organic, Fairtade, thoroughly right-on) Cacao Powder. See here for more info. Cocoa? Cacao? Whaʼ? Don’t worry about the difference. There isn’t really one. The English word cocoa is basically a synonym for the cacao, with Theobroma cacao the scientific name for the tree that yields the beans that produce those all-important chocolate products, with “cacao” coming from the Mayan and Mesoamerican language word for the tree and “Theobroma” from the Greek for “food of the gods”. Beer and chocolate – both worthy of that name I’d say. Here’s another traditional Sussex product that doesn’t really seem to exist any longer. Much like the Sussex plum heavies I did a month ago I’ve never seen the superbly named Lardy Johns in bakeries, and there’s very little information about them online. Also much like plum heavies they sit on the fruit pastry-scone spectrum and utilise that more old-fashioned baking fat: lard. This recipe is from ‘Sussex Recipe Book With a few excursions into Kent’, a collection of traditional recipes by Margaret Samuelson, published in 1937. Some are her own or her family, many are gathered from interviews, while others are from 18th and 19th century sources. 1. 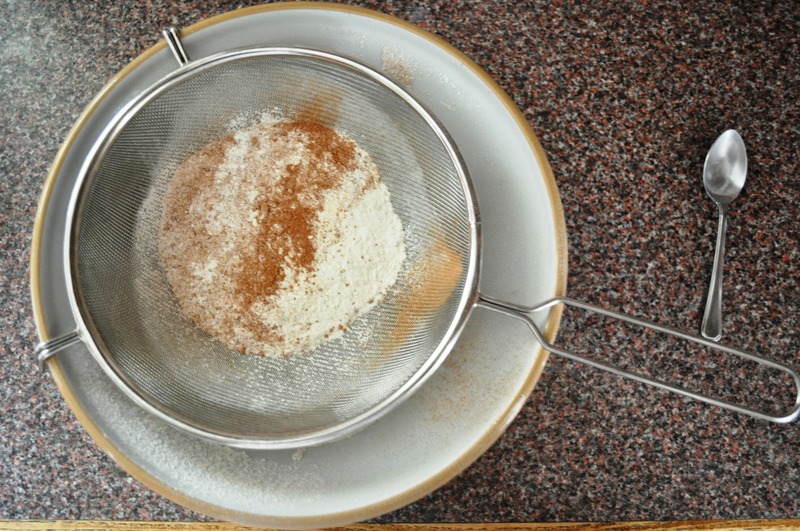 Sieve together the flour and baking powder. 2. 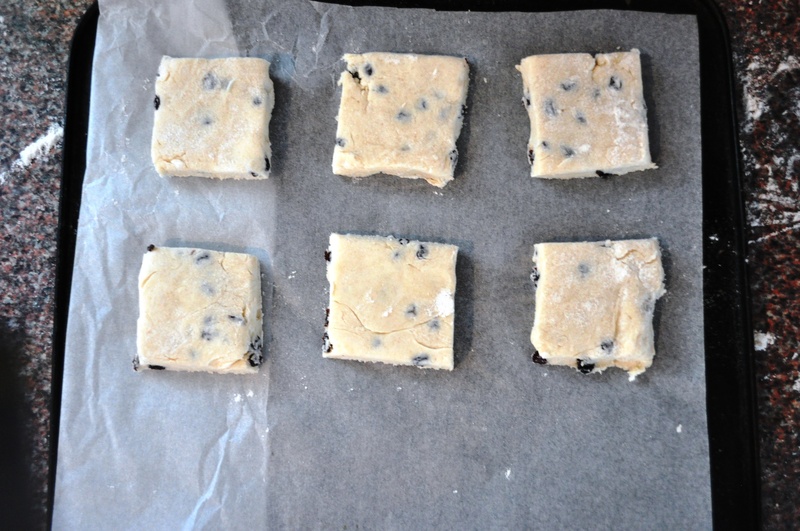 Cut the lard into small pieces and rub into the flour. 3. Add the sugar. I used granulated, but caster would be fine while Demerara or other brown sugar would give a slightly richer flavour. 5. Bring the dough together with water. It’s 40g, more or less – what Italian recipes would put as “QB” – quanto basta, “how much is enough”. 6. Roll the dough out about 12mm (half inch) thick. 7. Cut into squares of about 50mm (2 inches). This recipe produced six, so if you want more double it. 8. Bake in an oven preheated to 200C for about 10 minutes, until lightly browned. 9. 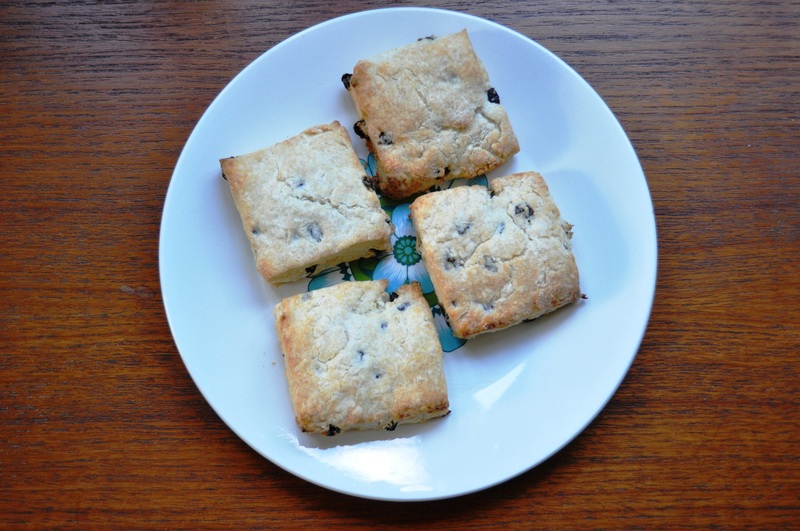 Eat warm, or let them cool, split and eat like scones (skohn, skon) with jam. These really are very basic. Ten minute jobs. Simple fare from an era before fancy fats and flavourings. But they are surprisingly good. 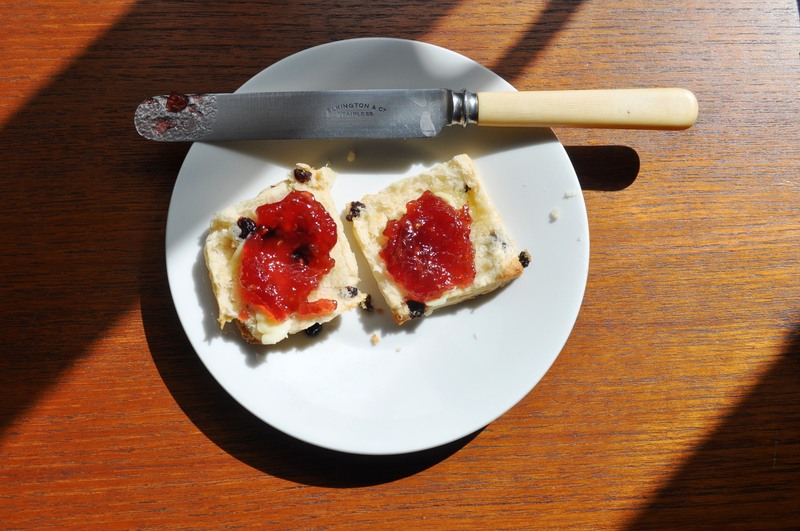 Slightly sweet, with a texture that’s light, slightly crisp and shorter than you’d get with a crumblier scone, which is likely made with butter and/or buttermilk. In ‘English Bread and Yeast Cookery’, Elizabeth David says, “If you cannot lay hands on pure pork lard, don’t attempt lardy cakes.” Well, I’m not sure of the purity of the stuff I’m use. It’s certainly not pure in a moral sense, being a product of the heinous industrial meat industry, something I try as much as possible not to engage with. But as I said in the heavies post, it seems almost impossible to source lard of good provenance. I’ve asked one of the meat purveyors on our local farmers’ market if she could do me some lard, so hopefully that’ll come through. This suggests the Lardy Johns recipe from Samuelson is fairly modern, developed from the yeast dough recipes with the advent of baking powder – a 19th century invention. Interestingly, the more common surviving members of the English lardy cake family are yeasted. Central and southern English counties like Hampshire and Wiltshire are associated with lardy cake, and the Wikipedia entry says lardy cake is found in “in several southern counties of England”. David, however, also gives a recipe for a Northumbrian version that neatly defenestrates that anonymous Wikipedia contributor’s theory. I would hazard that lard, and a bit of sugar, and a few currants, when combined with a basic dough, would have been used by poorer folk throughout Britain to make a treat through from the early modern era to the mid-20th century, when intensification of farming made butter more cheaply available. They’re modest treats, sure, but compared to the absurdity of the cupcake, and suchlike contemporary middle-class obsessions, they have an assertive honesty and simplicity.